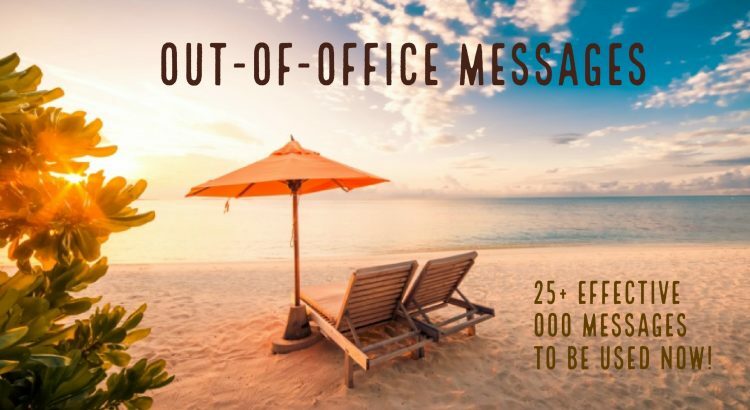 25+ Effective Out-of-Office Messages to be Used Now! ‘Tis the season of Love, Merriment, and Relaxation. Look out of your office window. What do you see? Is it a giant Christmas tree with every candy cane, garland and Christmas ornament hanging from it? Or is your favorite view from the desk getting covered with a thick layer of snow? If your view is anything like I mentioned above, then it is time to leave that desk of yours and get your relax mode on!